Are primarily used gather money for the cities that operate them at the risk of the public safety (due to the increased risk of accidents associated with them). Such arguments have been the basis of a movement to get these cameras banned in both Missouri and Illinois. Although no bans have been effectively instituted as of yet, proponents for them are not backing down, as they view red light cameras to be greater menaces than safety devices. Below are the current laws in place regarding the use of red light cameras in Missouri and Illinois. In Missouri, there is currently no state law governing the use of red light cameras; instead, these devices are operated under the supervision of the state’s Department of Transportation (DOT) policies. 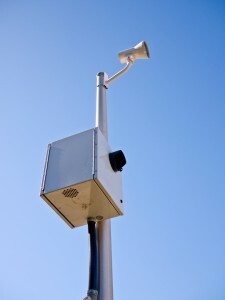 In some cases, local cities have enacted their own policies regarding the use of these devices. Send the ticket to the registered owner of the vehicle (even if the owner was not the driver at the time of the alleged red light violation). Although red light camera tickets in Illinois will not result in a moving violation or points added to motorists’ driving records, they can result in a $100 fine and/or the requirement to attend traffic school. Because the laws regarding red light cameras seem to be on the brink of changing in both Missouri and Illinois, drivers should check with the latest updates to these laws before paying tickets issued by these cameras. If you have been injured in a motor vehicle accident and you believe that a red light camera issue may be to blame, contact the St. Louis motor vehicle accident lawyers at Brown & Brown Attorneys at Law. We have a long-standing commitment to serving our clients, and we are experienced at aggressively defending our clients’ rights in any legal setting. Our goal is to preserve and promote the rights and welfare of individuals and families who have suffered injuries and losses and/or who need help navigating through the complexities of the court system.